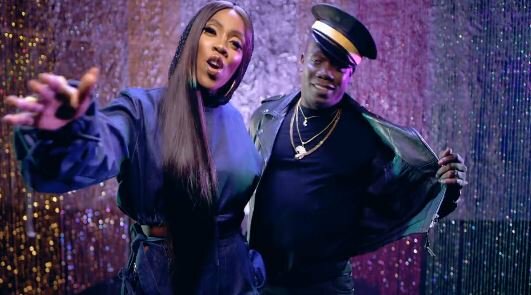 In an exclusive interview with SoundCity, Nigerian singer Tiwa Savage revealed that the intimacy of her latest coworker, Duncan Mighty, could be intimidating. Recall that the mother of the child introduced the first son of Port Harcourt on "Lova Lova", a song that has been well received since its release. In revealing her adoration for the Niger Delta artist, the singer said, "We have this record since January, just after releasing 'Vibe', it seemed like the next drop, and I could hear Duncan on it. "Duncan Mighty and I had a lot of talk about working together, so he was in Lagos and I invited him to the studio and played him some records, and that particular one was like 'I like this disk'. "And literally I think in 10-15 minutes, he wrote his verse, it was just magic, it was just one of those inexplicable experiences I was just supposed to be. "He's amazing, he's so talented, being in the same room while he's creating can be intimidating. "But he's also very humble and he works hard as if he's an upcoming artist, he puts everything in. I like his energy, he has a great atmosphere." Tiwa was also questioned about her romance with Wizkid and she denied the suggestions by saying, "We are friends".